The Eye of Horus is an ancient Egyptian symbol of protection, royal power and good health. Ancients believed wearing the Eye of Horus symbol ensured their safety and health and that it provided wisdom and prosperity. 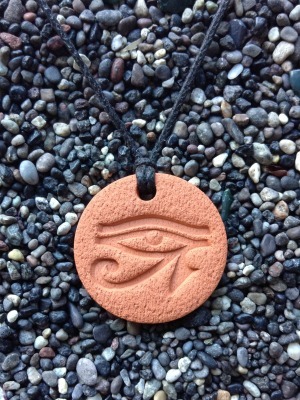 The Eye of Horus Pendant measures 2.9 cm across (1 1/8 in).